My granddad, Frederick Ainsworth Stowell Musgrove was born in Citheroe on 1st February 1898. He lived at 62 Moor Lane and then at 32 Salford. I can’t find any photographs / images on the Internet of either of these houses. I suspect that they were demolished sometime ago. 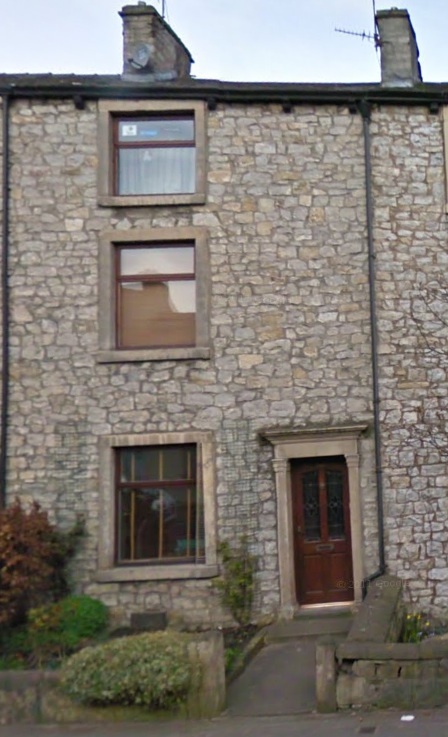 At the time of his marriage to Florrie Musgrove (no relation before they married) he was living at 11 Brownlow Street, Clitheroe. The earliest reference I can find to Brownlow Street in the Clitheroe census is for 1891. There are entries in earlier census returns for some streets in the same area. So either I haven’t searched properly or Brownlow Street was built between 1881-1891 or perhaps it had another name before it became Brownlow Street. Researching the history of Clitheroe I discovered that John Cust was elected as MP for the town in 1802. He was the eldest son of the 1st Baron Brownlow. John Cust was MP for Clitheroe until 1807 when he succeeded to his father’s title and he later became 1st Earl Brownlow in 1815. I imagine that Brownlow Street was named after John Cust. 1911 – William Henry Mitchell (43) a cotton weaver from Clitheroe. He was living with his wife Alice (42) and four children Harry (19), Mary Ellen (14), Reginald (10) and William (7). So my granddad must have moved to 11 Brownlow Street sometime between 1911 and 1917 when he married. I know that the house remained in the family until at least 1952 and was then sold. 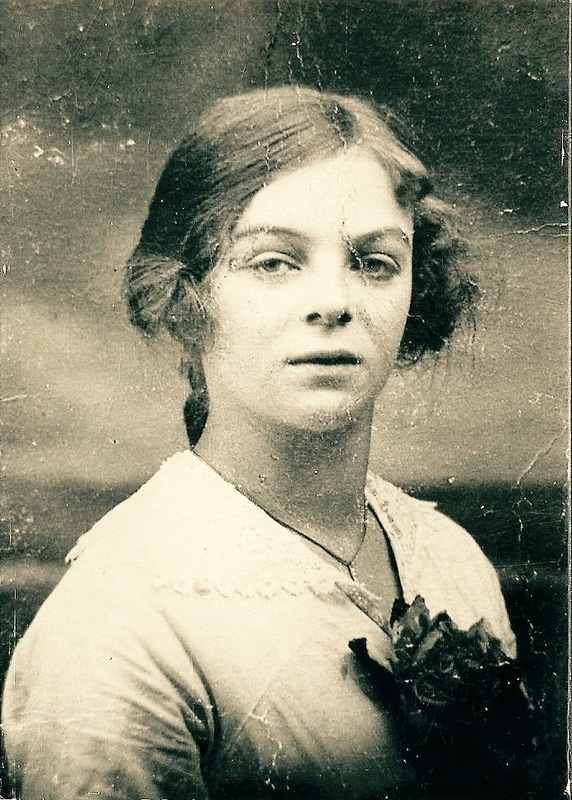 Florrie was born on 6 January 1897 and she lived at Foredale Cottages, just outside the Yorkshire Dales village of Horton in Ribblesdale. 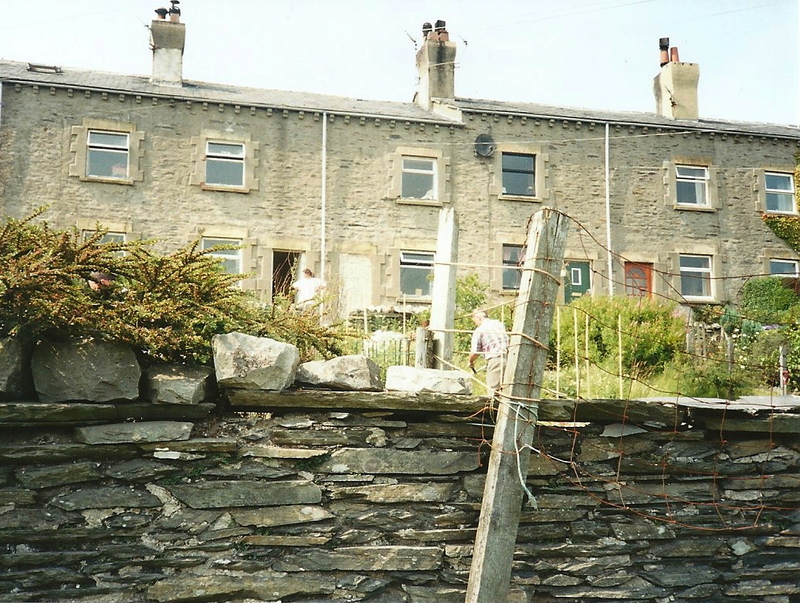 These quarry workers’ cottages at Foredale are a prominent feature of the landscape in this part of Ribblesdale. The quarry the occupants worked produced limestone for the nearby lime burning industry. The quarry was opened in 1878 and sold in 1882 to a newly formed company called the Ribblesdale Lime and Flag Quarry Co Ltd. There was no mention of the cottages at this time but they do appear on the 1909 OS map for the area. It is likely that they were built in the 1890s and were originally a shorter row, extended at a later date. I can’t be sure which of the cottages Florrie and her family occupied. However I do have other members of the Musgrove family living in the cottages in 1891. Two of Florries uncles, Harrison Musgrove and George Albert Musgrove together with their families are recorded there in the census. In 1901 my 2x great grandfather, Thomas Turner (Florries grandfather) is living at No.2 and one of his daughters Ellen and her husband Robert William Thistlethwaite are living at No.9 with their two sons. 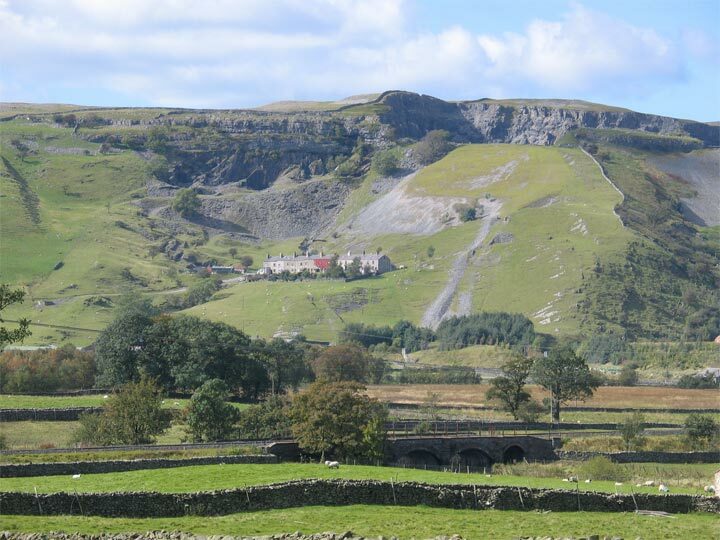 So my family have a connection with Foredale Cottages and the limestone quarry for at least ten years or more at the end of the 19th century and early 20th century. In the 21st century you will need to pay in excess of £135,000 to buy No. 2 Foredale Cottages. And numbers 5 and 6 have been knocked through to create one 5 five bedroom property – this is currently for sale here at £215,000 – if my lottery numbers come up I might even be tempted. This is an updated post with revised information. I had previously thought that 102 Whalley Road was originally known as 26 Russell Street. However new information has come to light confirming that it was actually 28 Russell Street. So the information about the census returns has been corrected. 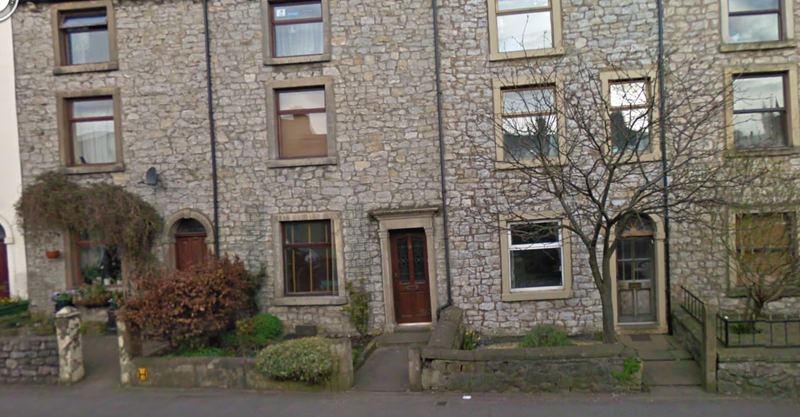 This is a photograph of 102 Whalley Road, Clitheroe, Lancashire. It was the home of my granddad and nannie – Fred and Florrie Musgrove. 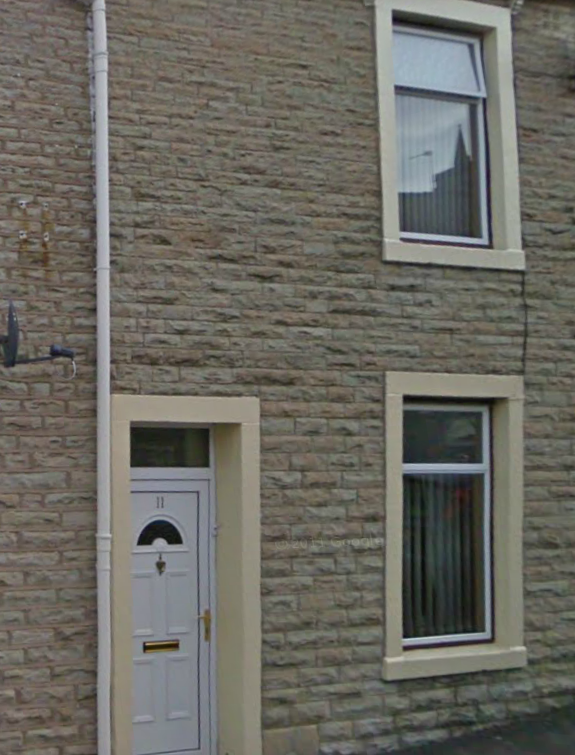 Although they lived in other houses in Clitheroe this is the only one I ever knew. I don’t know if the photograph gives an accurate impression of size. There are four floors – a cellar with two rooms and a door leading to the back garden; ground floor with a front parlour, living room and kitchen; first floor with two bedrooms; and second floor with a further two bedrooms. The house always seemed to have a warm and cozy feel. I remember my granddad sitting in his armchair next to the coal fire. My mother recalls the front bedroom on the first floor also having a fireplace and coal fire but doesn’t think any of the other bedrooms had fireplaces. Whenever I think of Fred and Florrie I remember them at 102 Whalley Road. However the original address was 28 Russell Street – the name changed sometime in the 1930’s. The house was built probably early 19th century. The block of numbers from 90-110 are now Grade II listed buildings – they were listed in September 1976. The listing text on the British Listed Buildings website comments briefly on number 102 – the doorway to No. 102 has plain pilasters, cornice and entablature. • 1911 – William Marsden (56), a carter in cotton mill. Also his wife Elizabeth (58), two daughters Martha Jane (28) and Alice Ann (23, both cotton weavers. There was also a boarder, Thomas Whittaker (67), a retired cotton loom overlooker. • 1901 – Ellen Walbank (57), a widow and four children – Winfred (32), Henry (24), Walter (18) and Eliza (15). Also living there was Ethel M Houghton (3), niece. • 1891 – Robert Woodworth (58) a cotton weaver, his wife Margaret (55) from Ireland and six children – Alice (36), Helen (28), Isabella (26), Elizabeth (17), Louisa (1877) and Mary A (12). • 1881 – James Whittaker (59), an unemployed mill labourer, his wife Mary (60) and three daughters working as cotton weavers – Elizabeth (28), Susannah (21)and Lucy A (18). • 1871 – James Whittaker (49), a labourer, his wife Mary (50) and seven daughters – Martha (20), Elizabeth (18), Margaret (16), Emma Jane (14), Susannah (13), Lucy Anne (10) and Mary Ann Roberts (26). Also a grandson, James Wilson Roberts (1). • 1861 – Richard Douglass (34), a power loom cotton weaver, his wife Margaret (30) and four children – Sarah Alice (11), Mary Ann (9), William (7) and Joseph (2). Also there are Hannah Douglas (80), mother and widow, plus Mary Cottam (41) sister-in-law. These houses are now probably close on 200 years old and will no doubt be standing for many more years. I am starting what I hope will become a regular blog theme – The Street Where They Lived. I have collected loads of information from census returns about the places where my ancestors lived. Sometimes I have the house number and street name and sometimes just the street name. Often in rural locations there is just the name of the hamlet or village. I have a few old photographs in my own personal collection which I can post. And by using Street View I can see images of the locations as they are today. I will try to do some research about the street, hamlet or area and include this. in the post. Look out for the first post coming soon. I hope you will enjoy reading this new theme and thanks for your continuing support.